Male Anomalon, copyright Rick Shackleton. Contains: Orthocentrus, Atrophini, Glyptini, Euceros, Phygadeuontini, Hemigasterini, Cryptini, Scolobatini, Temelucha, Ophion, Enicospilus, Tersilochinae, Mesochorinae, Oxytorinae, Metopiinae, Labenini, Groteini, Brachycyrtini, Phytodietini, Gravenhorstiini, Campoplegini, Diplazontinae, Neoxoridini, Rhyssini, Ephialtini, Pimplini, Ichneumonini, Phaeogenini, Platylabini, Oedicephalini, Heresiarchini. The Ichneumonidae, ichneumon wasps, are a diverse group of often large parasitoid wasps, often with a strongly exserted ovipositor in females. The majority of species attack larvae of holometabolous insects, though some species feed on spiders or their egg-sacs. Major subgroups of the Ichneumonidae include the Ichneumoninae, characterised by a relatively shortly projecting ovipositor (projecting by less than half the length of the hind tibia) protected by a rigid sheath (Gauld 1984). Characters (from Gauld 1984): Hind wing with radio-medial crossvein arising from Rs distal to its junction with R1. Forewing with vein 2m-cu usually present; first discal cell and first submarginal cell conjoined, not separated by vein. [D02] Donovan, B. J. 2002. Description of Sphecophaga orientalis sp. 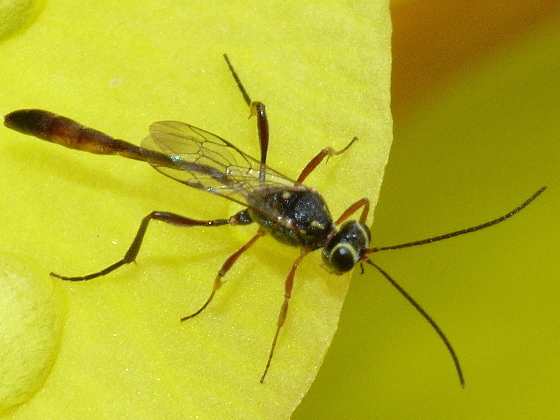 n. (Hymenoptera: Ichneumonidae: Cryptinae), a potential parasitoid of Vespula spp. (Hymenoptera: Vespidae: Vespinae) in New Zealand. New Zealand Entomologist 25: 3–15. [G25a] Girault, A. A. 1925a. Indications (in new insects) of ruling power and laws in nature. Privately published (reprinted Gordh, G., A. S. Menke, E. C. Dahms & J. C. Hall. 1979. The privately printed papers of A. A. Girault. Memoirs of the American Entomological Institute 28: 184–186). [G25b] Girault, A. A. 1925b. An essay on when a fly is lovable, the ceremony of baptizing some and unlovely hate. Privately published (reprinted Gordh, G., A. S. Menke, E. C. Dahms & J. C. Hall. 1979. The privately printed papers of A. A. Girault. Memoirs of the American Entomological Institute 28: 187–190). [G32] Girault, A. A. 1932. New lower Hymenoptera from Australia and India. Privately published (reprinted Gordh, G., A. S. Menke, E. C. Dahms & J. C. Hall. 1979. The privately printed papers of A. A. Girault. Memoirs of the American Entomological Institute 28: 293–298). [G33] Girault, A. A. 1933. Some beauties inhabitant not of commercial boudoirs but of Nature’s bosom, notably new insects. Privately published (reprinted Gordh, G., A. S. Menke, E. C. Dahms & J. C. Hall. 1979. The privately printed papers of A. A. Girault. Memoirs of the American Entomological Institute 28: 299–303). [H91] Howarth, F. G. 1991. Environmental impacts of classical biological control. Annual Review of Entomology 36: 485–509. [I92] Imes, R. 1992. The Practical Entomologist. Aurum Press: London. [N88] Noonan, G. R. 1988. 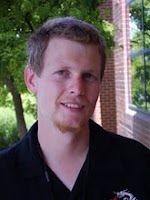 Biogeography of North American and Mexican insects, and a critique of vicariance biogeography. Systematic Zoology 37 (4): 366–384. [SNS07] Sudheer, K., T. C. Narendran & A. Saji. 2007. Taxonomy of a new ichneumonid genus from the Middle East (Insecta, Hymenoptera, Ichneumonidae). Senckenbergiana Biologica 87 (2): 185–188. [W87] Wood, D. M. 1987. Tachinidae. In: McAlpine, J. F. (ed.) Manual of Nearctic Diptera vol. 2 pp. 1193–1269. Research Branch, Agriculture Canada.